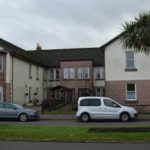 A Campbeltown pensioner has been praised for stretching a health and wellbeing grant used for a social club’s strength and balance classes. 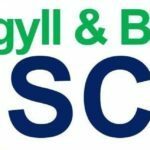 As applications are invited for a further £10,ooo of grants, earmarked for Kintyre, Argyll and Bute Health and Social Care Partnership (HSCP) singled out a number of recipients including Campbeltown’s Cathy Duncan. Alison McGrory, HSCP health improvement principal said: ‘The Health and Wellbeing Networks are essential in helping us to get as many organisations as possible interested in improving the health of our population. ‘The HSCP is committed to improving health because a healthier Argyll and Bute is in everyone’s best interest. ‘Last year we funded 100 projects throughout Argyll and Bute with awards ranging from £250 to £2,000. The HSCP is committed to improving the health of the people and preventing problems before they arise. Much of this work is done in partnership with others, for example, schools, sports and leisure facilities, third sector organisations and community representatives. The grant fund can help to get projects off the ground. A total of £100,000 is available with £10,000 for Kintyre. Funding is for activities that improve the health of the population and prevent problems before they arise. This year funding is available for increasing physical activity and supporting people to live better lives with long term health conditions. HSCP chief officer Christina West said: ‘As well as giving health and social care services to people at the moment, the HSCP has to consider how we enable people to stay active and healthy for as long as possible. ‘Living well and fulfilled lives is not only better for individuals, it is also better for our services to ensure there is capacity to focus on where there is a need for health and social care. ‘We all have a responsibility for our own health and well being and the fund has a proven track record in enabling people to be healthier.